Q what is the difference between this one and the one with SKU that ends in an ES? A The 1695KZ-ES uses (1) 26w CFL GU24 bulb and is an energy saving fixture and the 1695KZ uses (1) 100w Medium Base bulb. Q Is the top of the glass tube closed to keep from getting debris and bugs in the globe? 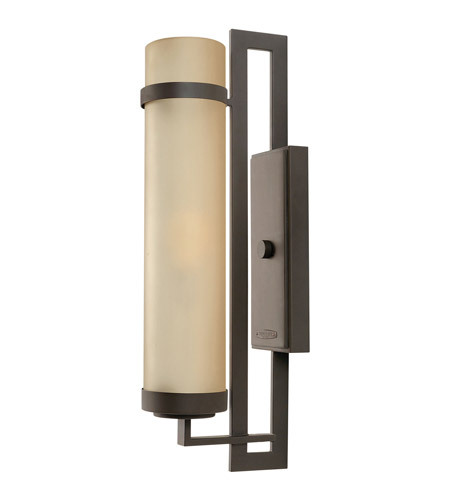 A The Hinkley Lighting Cordillera 1 Light Outdoor Wall Lantern 1695KZ glass is closed on the top.